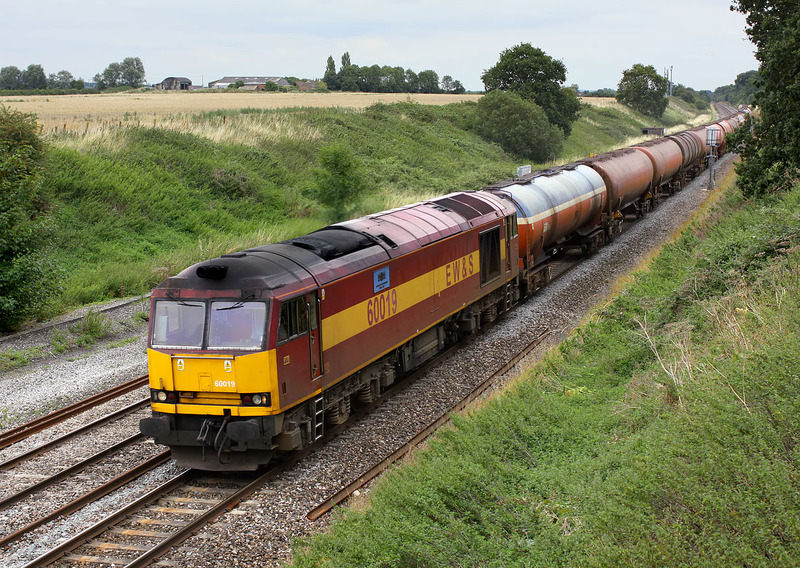 Definitely running at its top speed of 60 mph, 60019 Pathfinder Tours 30 Years of Railtouring 1973-2003 passes Compton Beauchamp on 18 August 2009 with the 6B33 13:33 Theale to Robeston Murco oil empties. Surprisingly there hasn't been a great increase in the lineside vegetation at this location in the last thirty years. This most noticeable difference since 1979 is the plantation of trees surrounding Galleyherns Farm in the background.